Hendrik Pretorius, (2013 & 2014 Super Lawyers Award Recipient), was born in South Africa and grew up in Argentina and Mexico prior to moving to the U.S. Hendrik focuses entirely on immigration processing. Clients include startups, entrepreneurs, small businesses, and larger well renowned corporations. Hendrik assists all clients in evaluating immigration strategies and options for executives, founders, professional workers, and others vital to your operation. 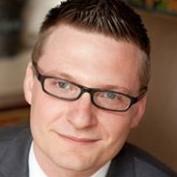 "Hendrik did an excellent job to get my O-1 Visa. He was always there for me from day one. I’m more than happy to recommend his work to anybody who needs an immigration attorney. Reasonable price, excellent work!”"
"When dealing with immigration matters one can never be too careful – especially with all the different rules and exceptions that one encounters these days. Hendrik did an excellent job and he was within budget and on time and fully successful with all our applications – now that is a really good attorney.”"
"We worked with Hendrik on our O visa application and we couldn't be happier - the experience was great. Hendrik was always there to help, give advice and discuss strategy. We will definitely will work with Hendrik again, in future. Great experience, highly recommended!."